Abu Dhabi: Saudi Arabia’s Public Investment Fund (PIF) plans expansion overseas as well as invest within the country to diversify its economy, a top executive of the country’s sovereign wealth fund said in Abu Dhabi. PIF formed in 1971 has 200 investments with 90 per cent of it being within the country. The fund has a $45 billion stake in Softbank Vision Fund and $20 billion in Blackstone infrastructure vehicle in the US. The government owned entity is targeting 50 per cent international investments by 2030 and is also planning to open new offices as part of future expansion plans. 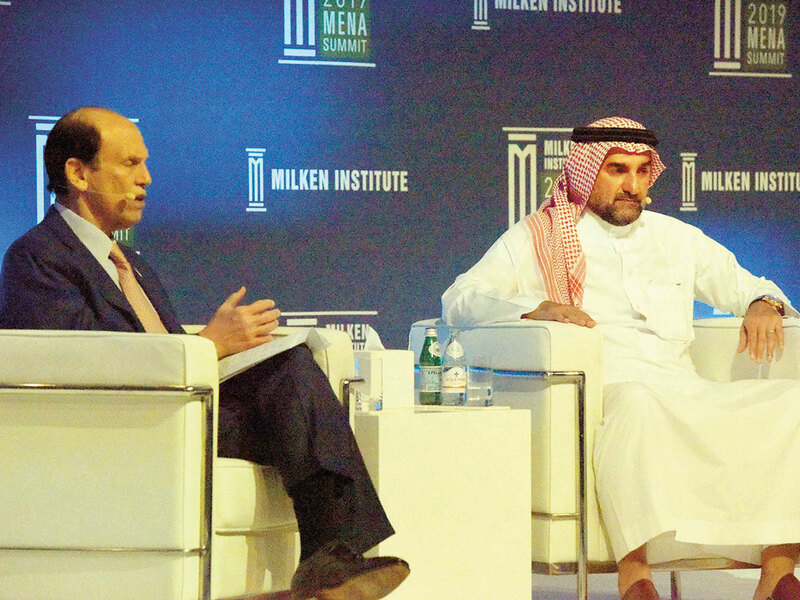 “PIF is not only going to be in Riyadh and we are working to opening up in London, New York, and potentially San Francisco and may be other cities where we feel that we should be closer to our businesses over there,” said Yasir Othman Al Rumayyan, managing director and member of the board, PIF speaking at Milken Institute Mena Summit on Wednesday. He also said the workforce at the fund is going to increase in the coming years from 450 employees currently to 700 by year and 1500 to 2000 by 2025. Speaking about investments in Blackstone Infrastructure in the US as well as Uber technologies, he said they are committed to $20 billion in Blackstone and they can to a lot of things in the US and rest of the world. On investments in Uber technologies, he said this is their second direct international investment and it brought in more than 150,000 jobs for young Saudi men. He also said that oil is going to be important but they are also investing in renewable energy, photo voltaic as well as in electric vehicles. PIF is also looking to increase its stake in one of its subsidiaries ACWA power from 25 per cent to 40 per cent, he added.